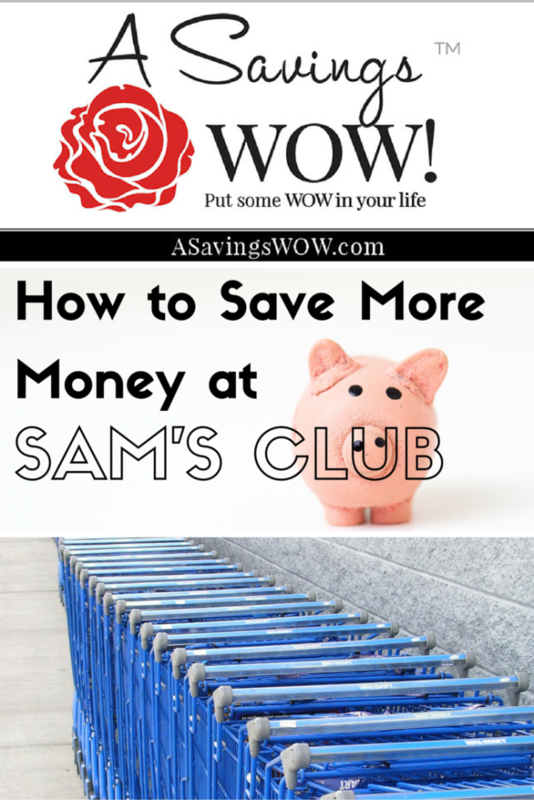 How to Save Money at Sam's Club | A Savings WOW! Sam’s Club is one of the stores that is just a few minutes from us, so we find ourselves shopping there often. Even though you may think that all you can get there are products in bulk, there are many other ways to save at Sam’s Club. In Cameron Huddleston’s article, “9 Secret Ways to Save Money at Sam’s Club” on GoBankingRates, we share a couple of tips (#3 and #5). Sign up for a Sam’s Club membership today with our referral link and you’ll receive a free $10 e-gift card. (When you join, we’ll also receive a $10 e-gift card.) Once you’re a member, you may also get your own referral link to earn $10 e-gift cards when your friends become a Sam’s Club member. How do you save at Sam’s Club?